The Frame Plate is another design object where the name tells you exactly what you're getting. 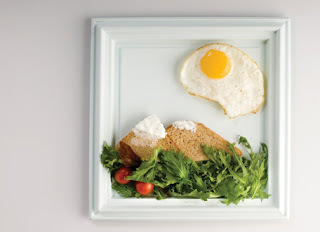 It's a plate that looks like a picture frame, which has the effect of turning your food into art. Since I like both food and art, the Frame Plate gets a thumbs up from me. As far as I can tell it's just a concept right now though. But how do they preserve it? Does anyone now if this plate is avail. for purchase at this point?